We carry the finest storm doors available in the industry. Our doors can be custom-made in both width and height. In fact, we pride ourselves on our selection of custom shapes from circle tops to cathedral tops and just about everything in between. We guarantee that you will be satisfied with our expert installation of your new storm door. 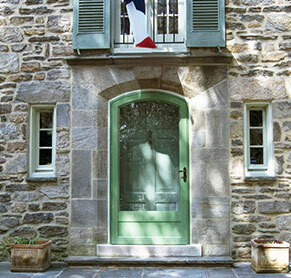 With over 40 styles to choose from you are sure to find the perfect storm door for your home. 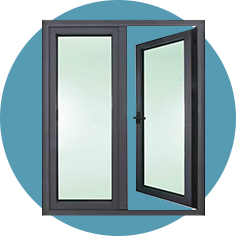 For your convenience some of our storm doors come with self-storing glass and screens. There are over a dozen colors to choose from. We service everything we sell, in house. We have a full service glass and screen shop allowing us to service your door glass and screen in the event they are broken or damaged. Call us for a free estimate on your storm door.